Next month, I will be at the University of British Columbia to give a guest lecture at the Philippine Studies Lecture Series. 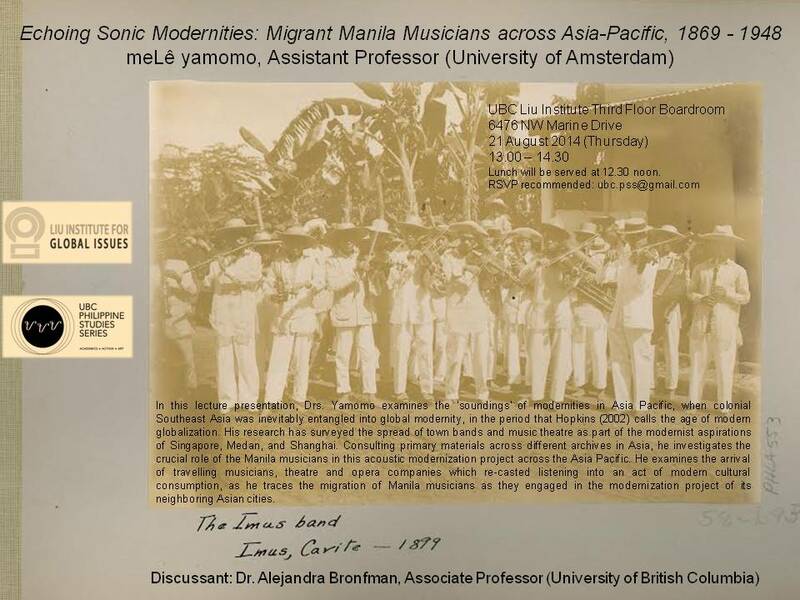 The title of my talk is “Echoing Sonic Modernities: Migrant Manila Musicians across Asia-Pacific, 1869 -1948”. Please come, there will be Filipino food in the after talk reception!